NEW YORK, NY—The world of golf took a major hit on two fronts last week—The Honourable Company of Edinburgh Golfers at Muirfield decided to remain outside the norm of host clubs for major events by continuing to exclude women as members. As a result of that action the Royal & Ancient (R&A) has decided Muirfield will no longer be considered for site selection for future Open Championships. The second was equally disturbing but on a somewhat narrower scale. Phil Mickelson, a five-time major champion and one of golf’s most dynamic players, was publicly cited for his involvement with a high level sports gambler in an insider trading matter that ultimately had Mickelson return just over $1 million. The much admired Mickelson will not face criminal charges from the Security Exchange Commission (SEC) but the black-eye he has earned will still have to play out as the PGA Tour may decide whether a suspension is in order for conduct unbecoming a professional golfer. However, the PGA Tour does not publicly disclose any disciplinary action as a matter of policy. The Muirfield matter required a 2/3’s vote in favor of accepting women—the vote was close: 64 versus 36 percent in favor of the change, but insiders within the club opposed to women membership still believed the R&A would take no action given the club’s revered status as one of the top designed links courses on the planet. That calculation was totally misguided on the club’s side—the R&A swiftly acted and pulled the plug in having Muirfield remain in its championship rota. The loss of Muirfield is indeed regrettable. The quality of the links is well regarded by many in golf—no less than Jack Nicklaus named his home course Muirfield Village in honor of his first Open Championship win at Muirfield in 1966. In 2013, it was Mickelson ironically who finally jettisoned the belief of many who thought he would never win an Open Championship by firing a sensational final round 66 to claim the illustrious Claret Jug. Throughout its long and celebrated history, Muirfield has been the scene of some of the greatest wins by a who’s who in golf’s annals. Being unable to move itself into the 21st century with its “no” to women members means a sad return of the heavy anchor around golf’s ties to elitism and exclusion. Clearly, these issues still remain front and center. Only recently did Augusta National Golf Club, home of The Masters, invite its first female members in 2012. To the credit of the R&A there was no hesitation to remove Muirfield given the backlash the R&A received when Muirfield hosted the ’13 Open. There may be a change of heart from the club once the matter is fully digested. 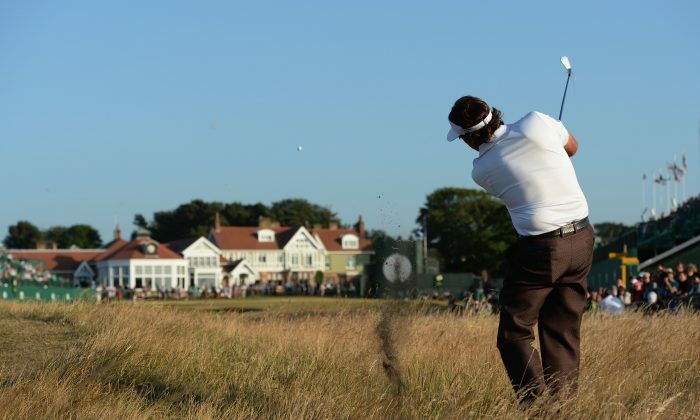 But, it is high time for clubs such as Muirfield which seek adulation for hosting major events realize the hypocrisy they bring upon themselves in continuing with practices that clearly fall beyond the norms of today. A vocal small contingent of 33 members circulated a letter to others within the club urging them to resist any change to existing rules barring women as members. “Change must come slowly and for choice should be evolutionary,” said a portion of the letter. Amazingly, Muirfield has been around as a course since 1891 and the club harkens back to 1744—the arrogance in saying that such change should be “evolutionary” given the advancements made in race and gender issues is mind-boggling for its stuffiness and out of touch understanding. Royal Troon, which will host this year’s Open Championship is also going through a similar review by its membership. One can only wonder if common sense will prevail there. No doubt until Royal Troon does admit women members, the focus of questions tied to the event will only escalate and force the R&A to spend valuable time on a topic which should have been placed in golf’s rear view mirror some time ago. Speculation is now centered on what other club may be considered that is located in the general East Lothian area and clearly its nearby tie to Edinburgh—the Scottish capital and second largest city in the country. Immediately adjoining Muirfield is The Renaissance Club—a stellar Tom Doak design that has the needed logistical elements and course quality to be considered as a possible venue. The same holds out hope for Gullane #1—a public facility which is also nearby to Muirfield and hosted last year’s Scottish Open event won by Rickie Fowler. Phil Mickelson’s conduct may not rise to the fanfare of what Tiger Woods brought upon himself for various marital infidelities from several years ago but likely it’s because Mickelson is viewed quite differently from the body public and even from the media. The connection to prominent sports gambler Billy Walter may clearly be an issue for Phil and the PGA Tour has been known to use the clause of “conduct unbecoming a professional” for possible disciplinary action. Mickelson was listed as a “relief defendant” in getting information from Walters in order to pay past gambling debts but his actions were deemed by the U.S. Attorney Preet Bhahrara to be of a far lesser issue. Clearly, Mickelson and his team moved swiftly to create a clear space between the charges faced by Walters and Thomas Davis, the former chairman of Dean Foods who initiated the insider trading process. With the U.S. Open just a few weeks away—and with Mickelson attempting to win the lone major he has not won and thereby complete the career Grand Slam—the desire to push the topic to the far background is clearly in motion. The more pressing question is whether any additional news on this front emerge in the days and weeks ahead on both topics. The story of Mickelson’s involvement has been in the shadows for a bit of time and clearly his investment in 2012 in Dead Foods caught the attention of government regulators. Mickelson’s last win professionally came during the ’13 Open Championship at Muirfield and his desire to return to the top of golf’s pecking order has seen him struggle to return to form—missing the cut at this year’s Masters and Player’s Championship. For Phil, simply paying back the money he earned—along with a proscribed interest payment to the government—should serve as a clear wake-up call. The same can be said for the intransigent membership at Muirfield—hell bent in remaining stuck in time warp of utter stupidity since such a great links design will now be shelved from any consideration until such actions are changed.